Mark Douglas makes a very good point here. How many times have you seen the ‘perfect’ trade setup, and entered thinking “it’s a perfect setup, it’s definitely going to work out”. 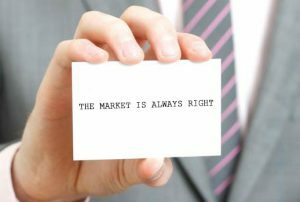 You’ve done all your market analysis and everything is pointing in your favor, it’s a going to be a definite win! The trade doesn’t work out and you’re absolutely gutted. You feel like you’ve been betrayed by the market and the ‘tragedy’ has eaten part of your soul away. If you rolled a dice, and you ‘won’ whenever you’re rolled the number 4. Your chances of rolling a 4 on only one roll are very low, 1 out of 6 actually. 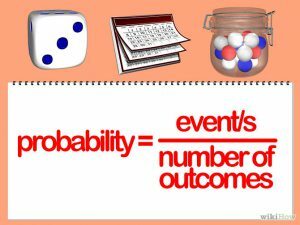 You wouldn’t go ‘all in’ if you were only allowed to roll the dice once – the probabilities are too far stacked against you. Your success rate of rolling a 4 increases each time you throw the dice. So each roll of the dice should be viewed as one attempt out of a series of dice rolls to score the number 4. The point here is – you should not put so much emphasis onto one trade. It’s better to look at each trade as a part of a ‘series of trades’. Don’t risk heavy on one position, you risk bite size amounts spread over a series of trades to increase your probabilities of success. To compound on the increased probabilities, we teach traders to enter a Stock trade using positive geared money management to maximize profit potential on each trade. Even if most of them are losers it doesn’t matter, you can still make good returns. In fact, you should expect most of your trades to fail. A win rate of 50% would be considered very good in Stock trading. Before placing a trade, I already consider it a loss to condition myself mentally. If you accept that the money is already gone, you won’t feel such shame if the trade get stopped out. If the trade turns around to become a winner, great!. I am not suggesting you disrespect your money, all we’re doing here is keeping emotions in check. The ability to accept a loss without feeling guilty, anger, shame or feeling of lesser self-worth is a skill a trader must learn. Stock trading needs to be approached with your mind tuned into probabilities, not the roulette table gamble. You will get losses, maybe even half your trades won’t work out – so you need to focus seriously on making those winning trades work really well, and mitigate previous losses.